Paul Weller – USA Tour Dates! – Paul Weller News! 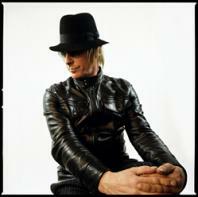 Paul Weller – USA Tour Dates! 2 Comments on Paul Weller – USA Tour Dates! From Paul’s US label, YepRoc. OMG OMG. THANK YOU! LOVE YOU! Two in LA! OMG! Bugger all in Texas! I'll have to wait until I come home to Blighty…. Previous Entry 22 Dreams Debuts At The Top Of The UK Album Chart! Next Entry Paul Weller World Tour Dates!